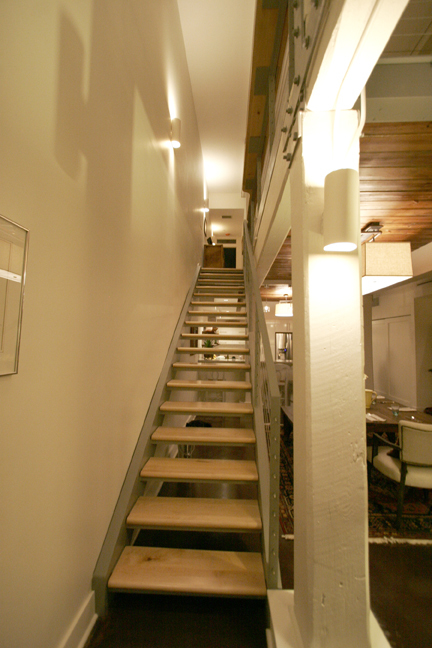 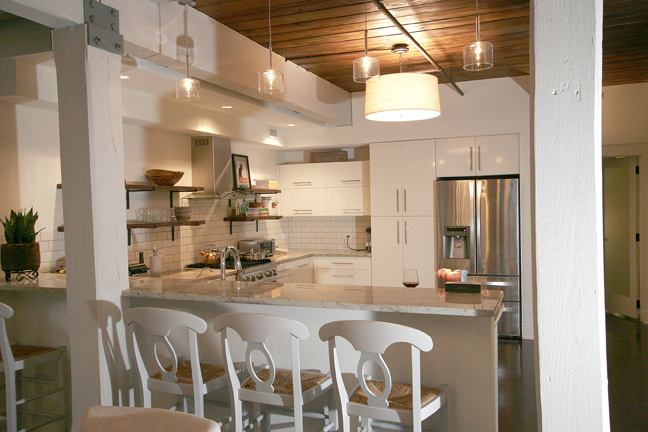 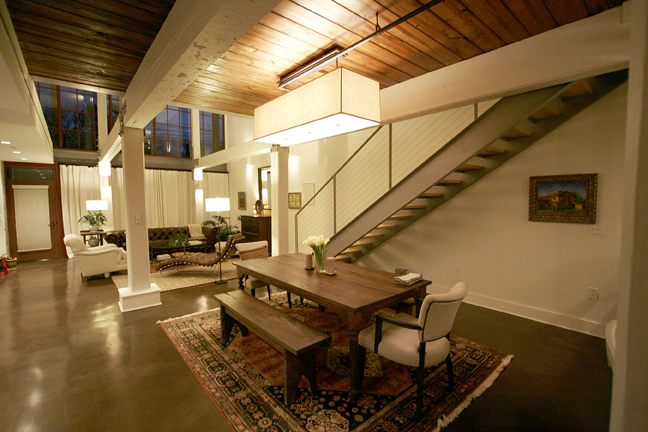 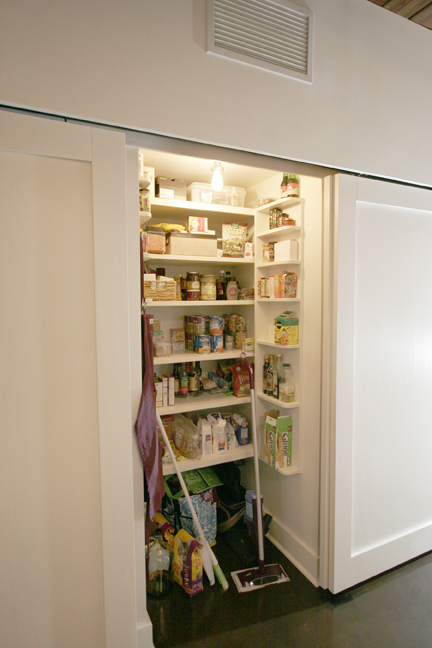 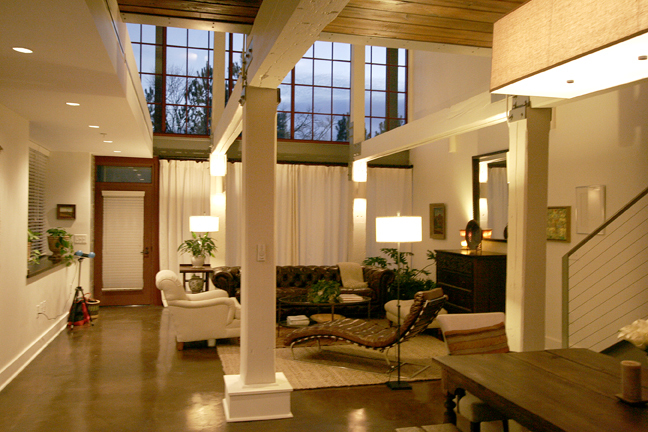 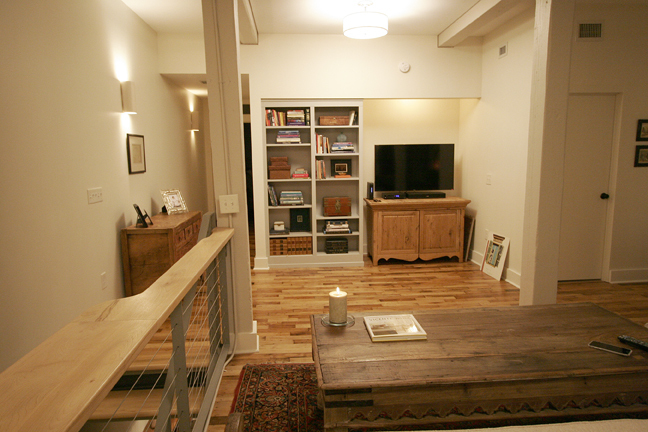 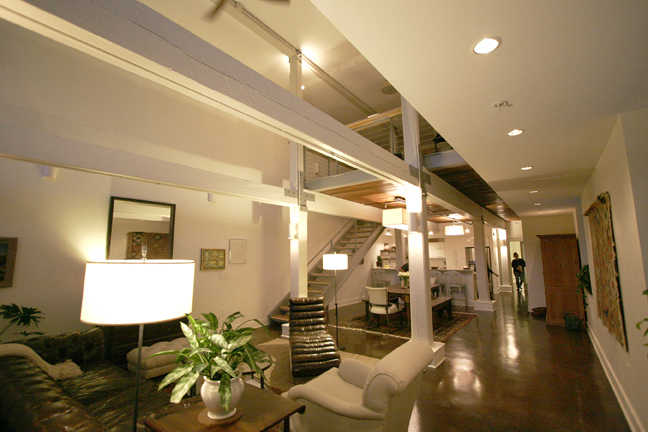 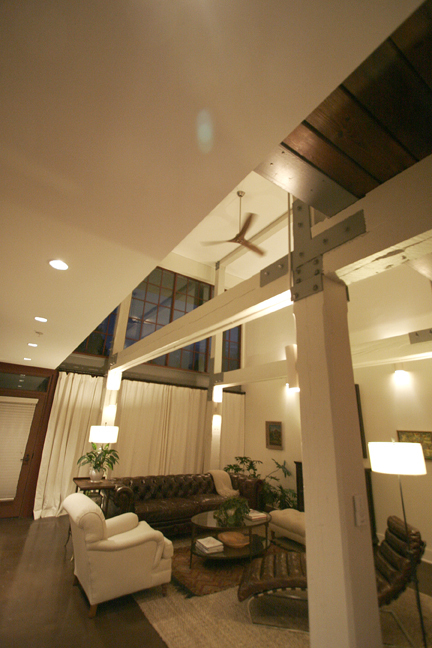 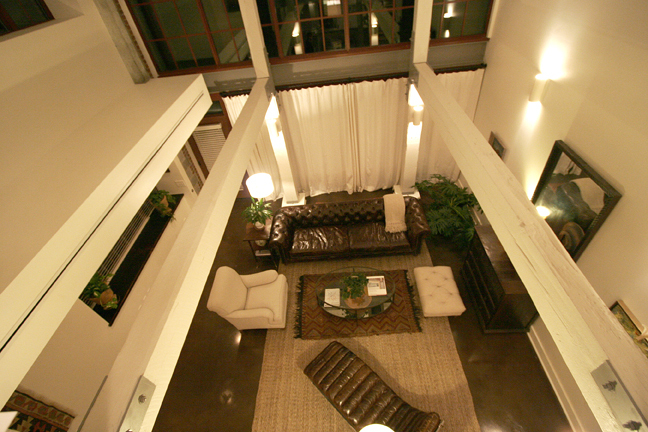 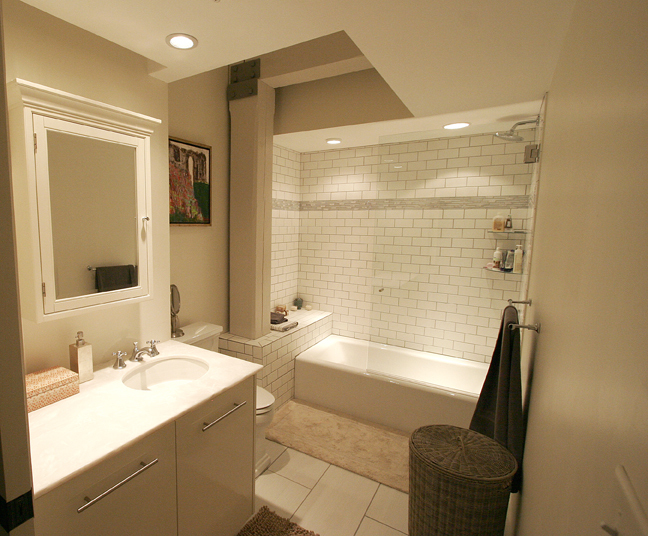 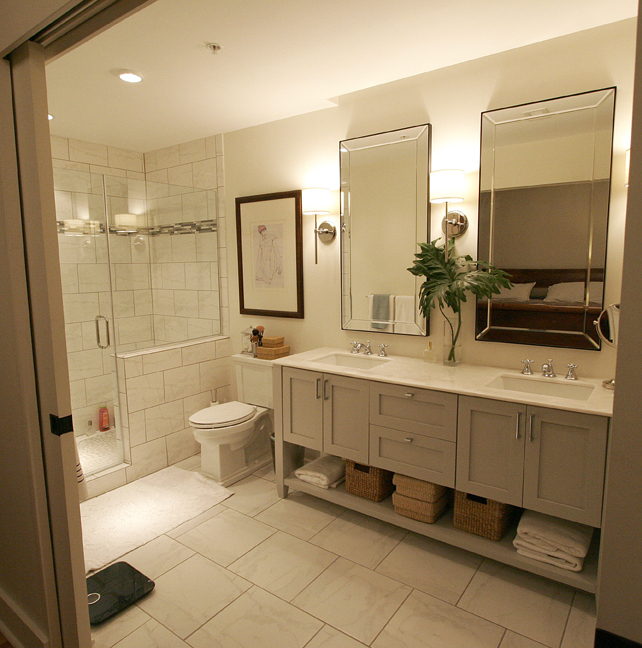 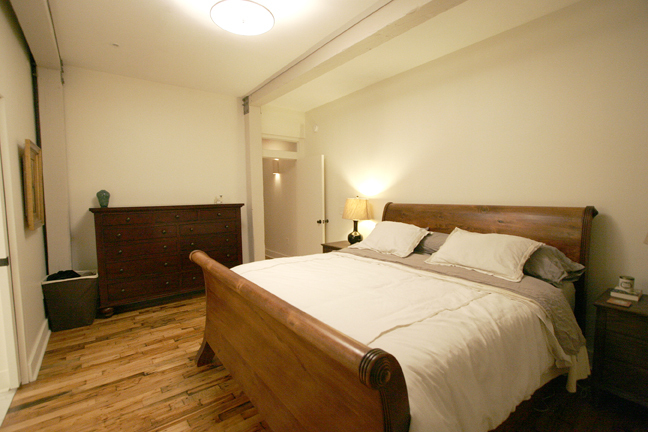 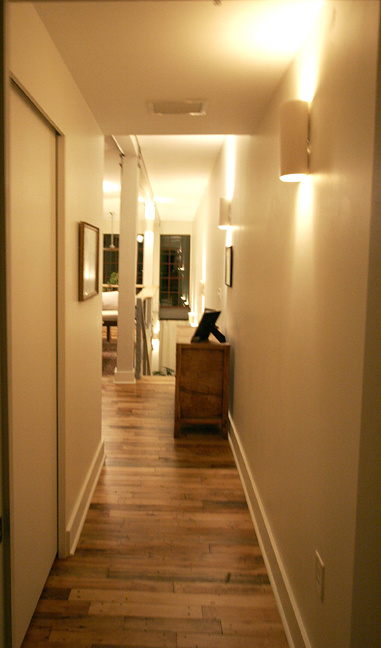 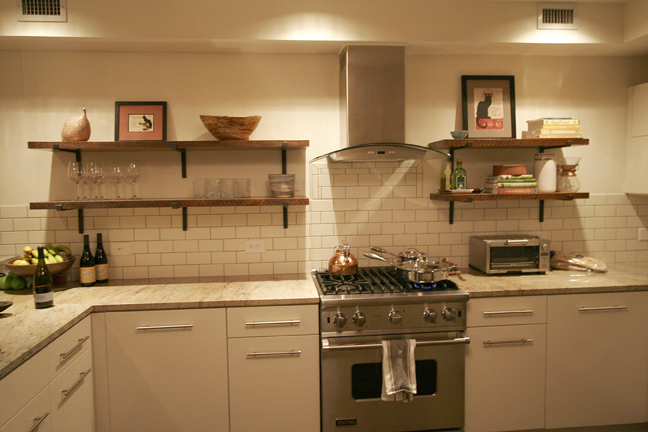 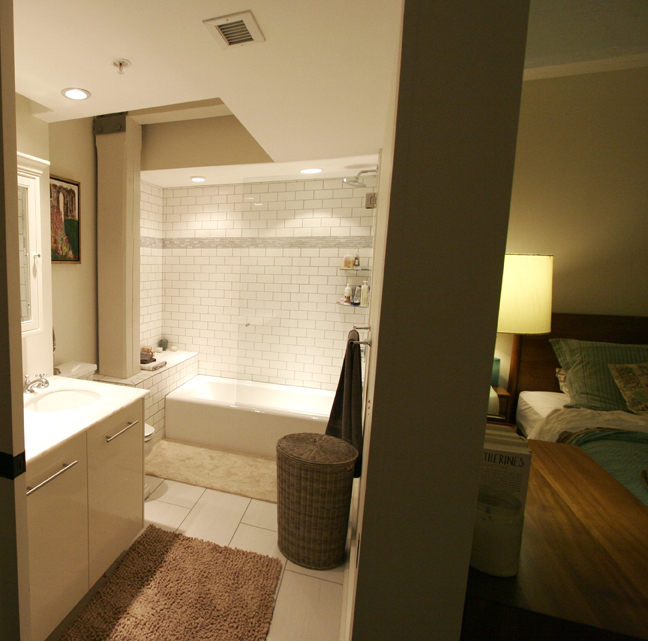 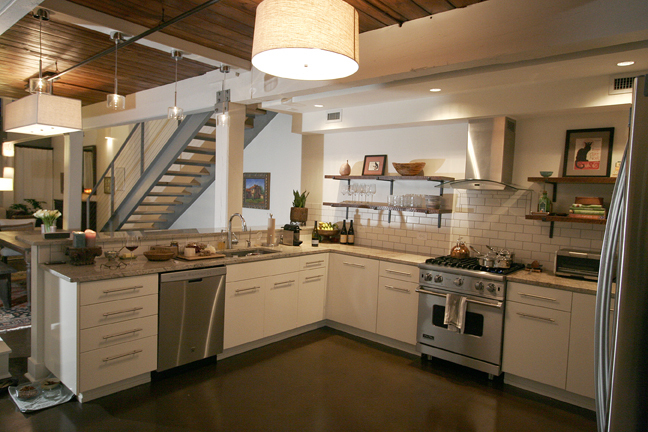 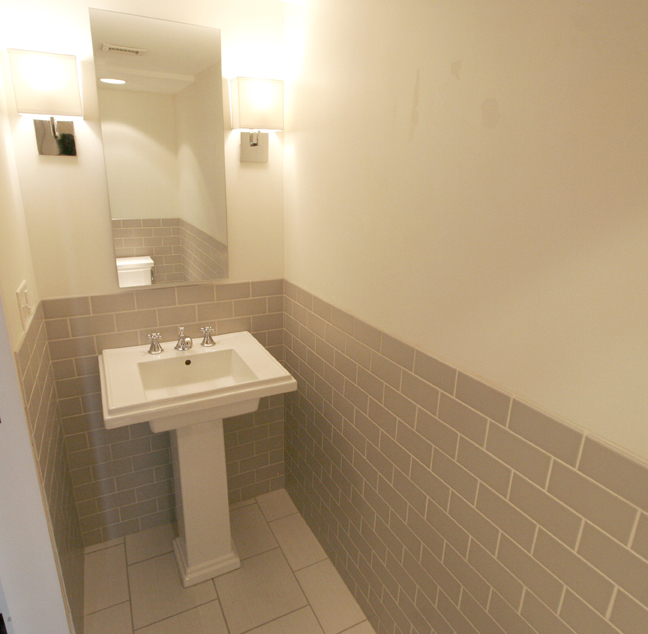 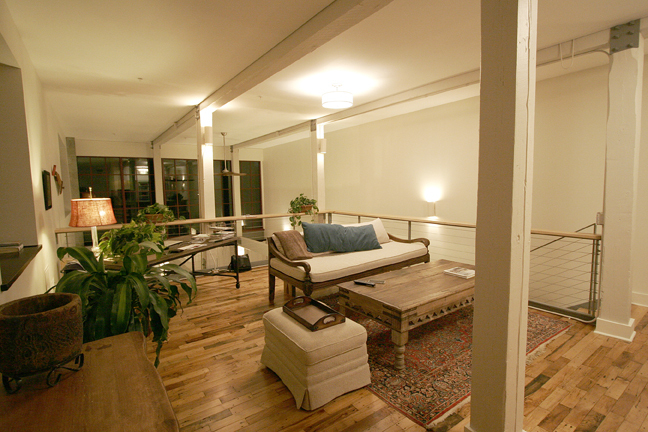 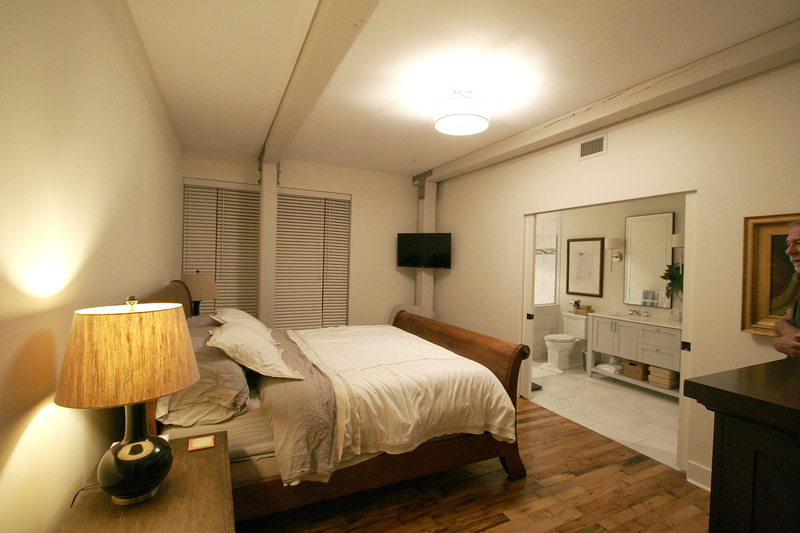 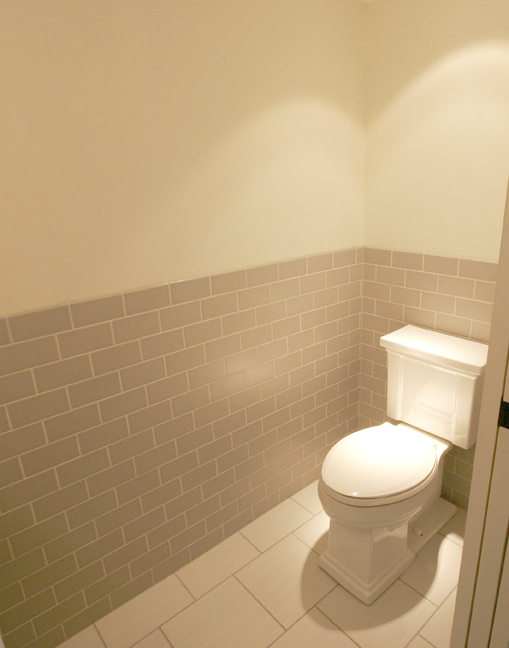 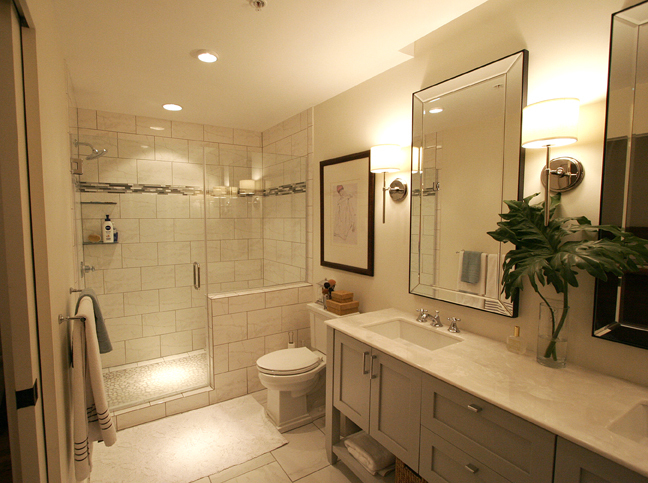 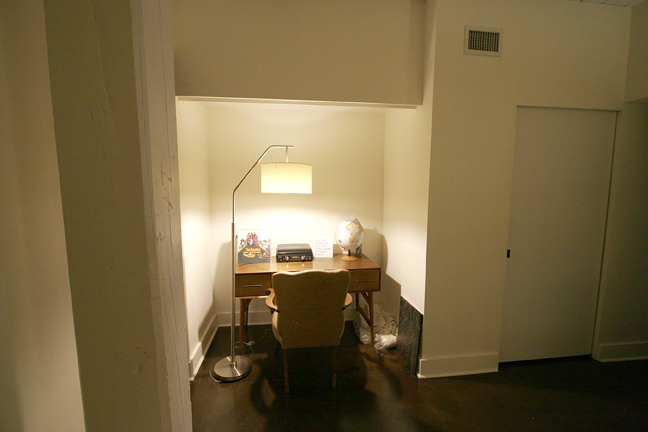 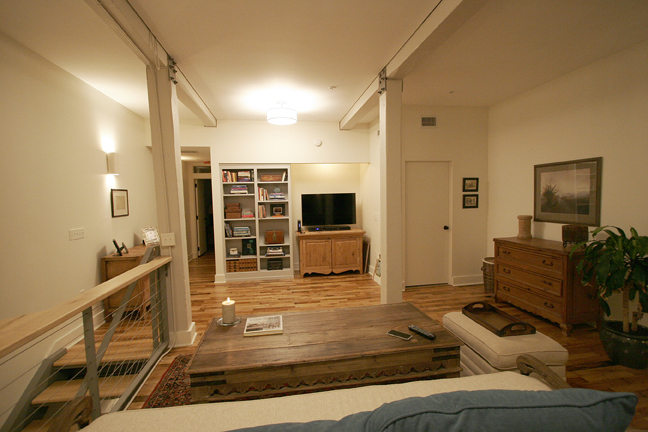 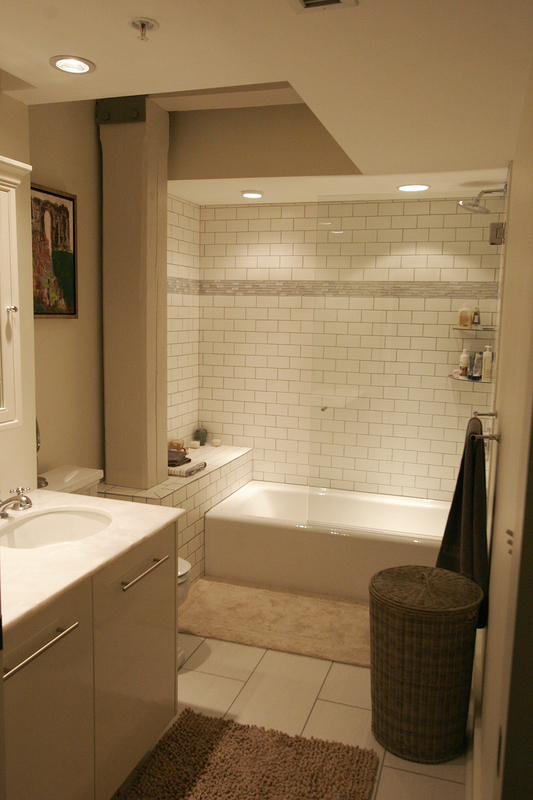 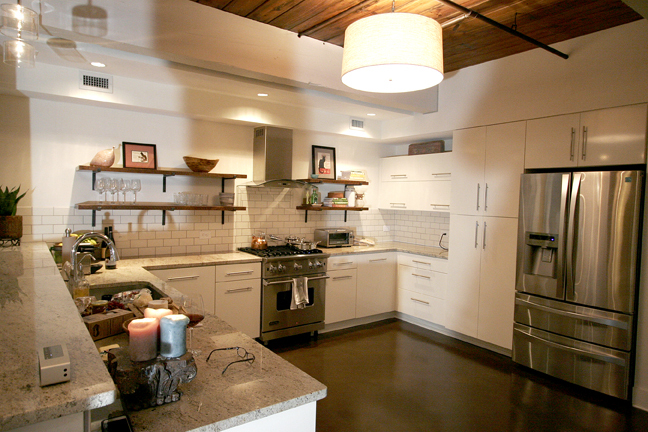 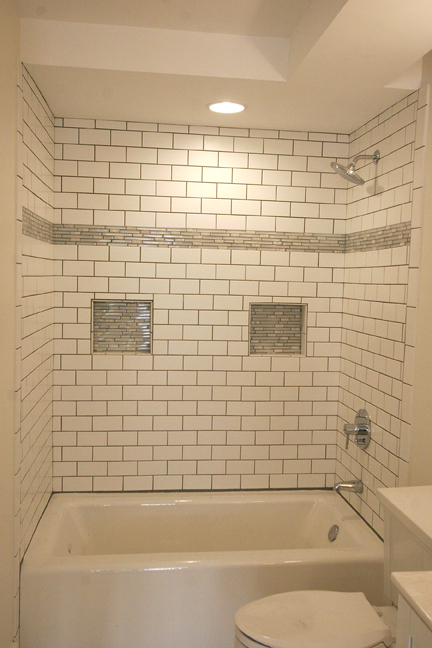 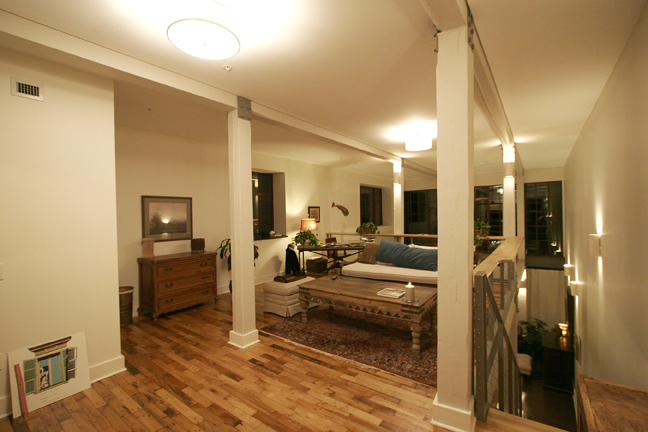 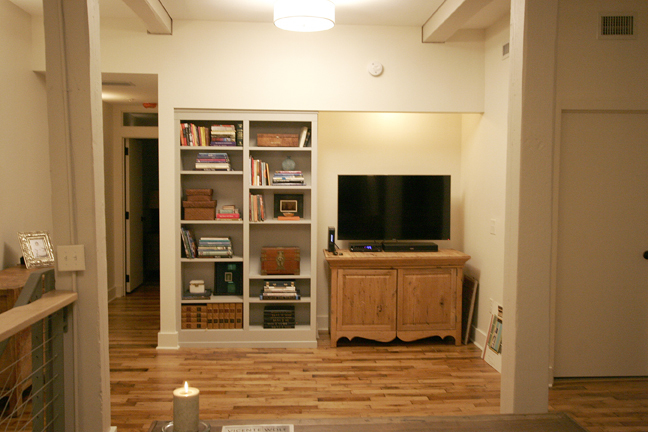 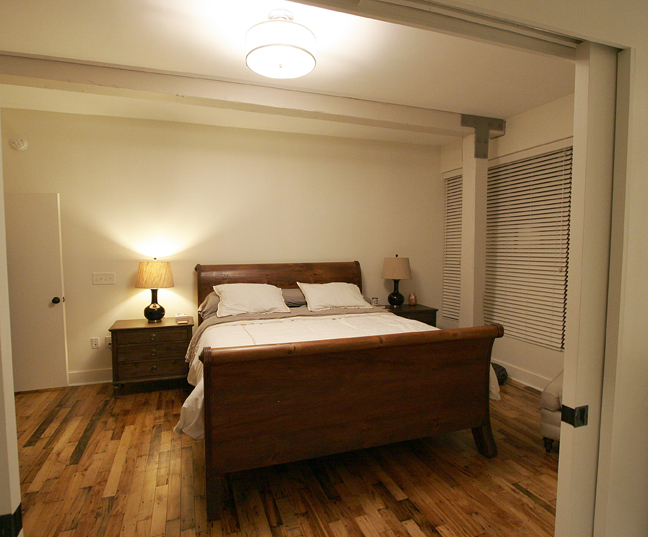 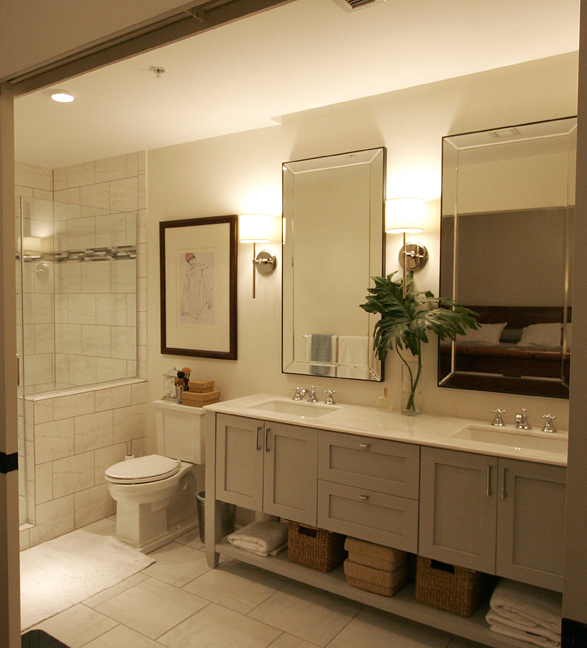 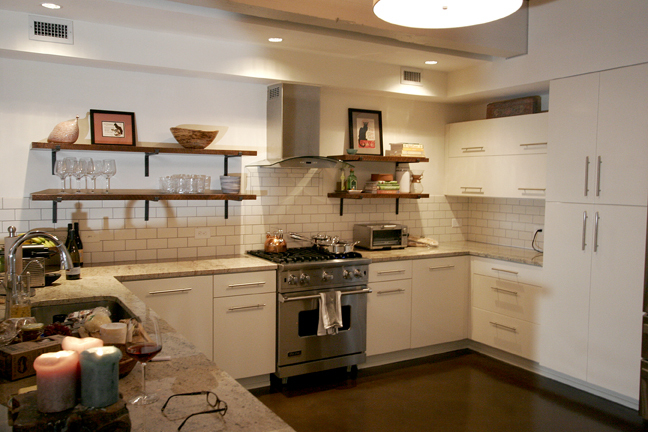 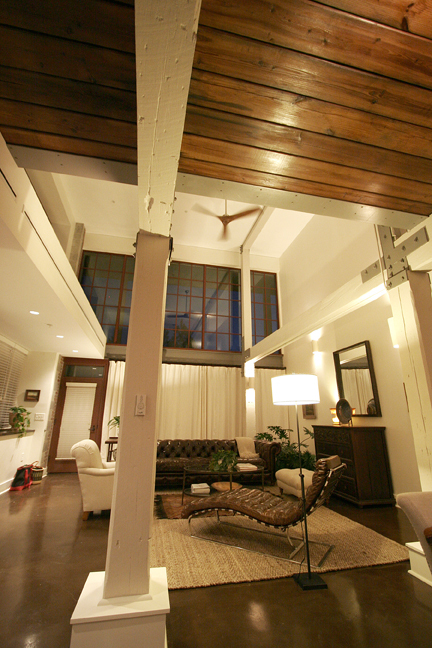 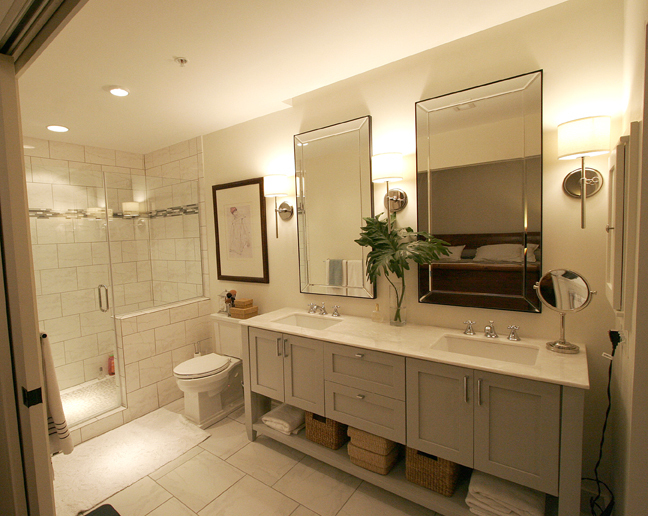 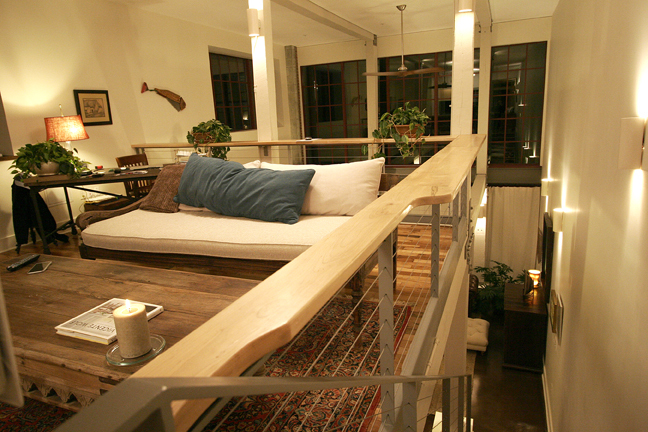 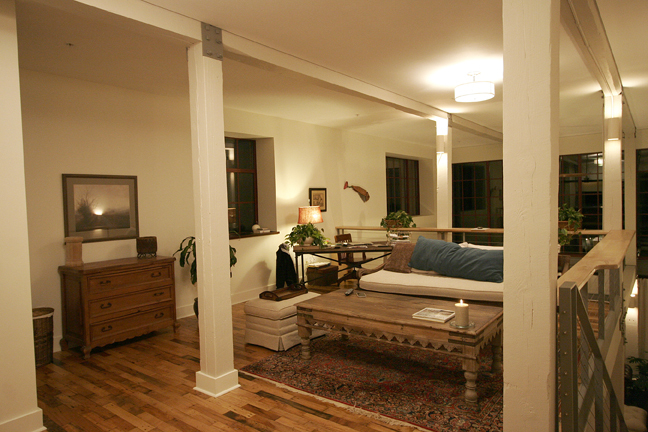 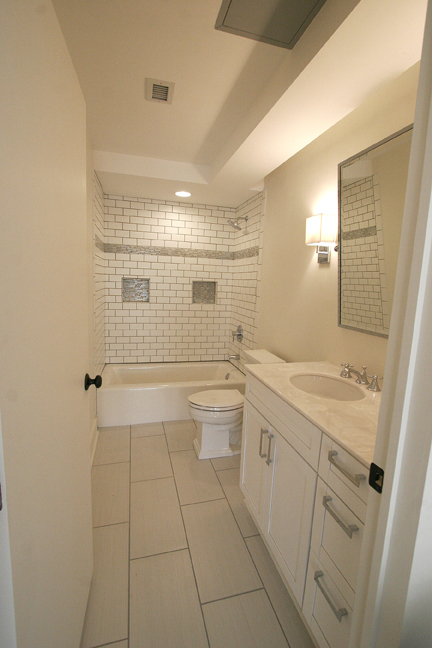 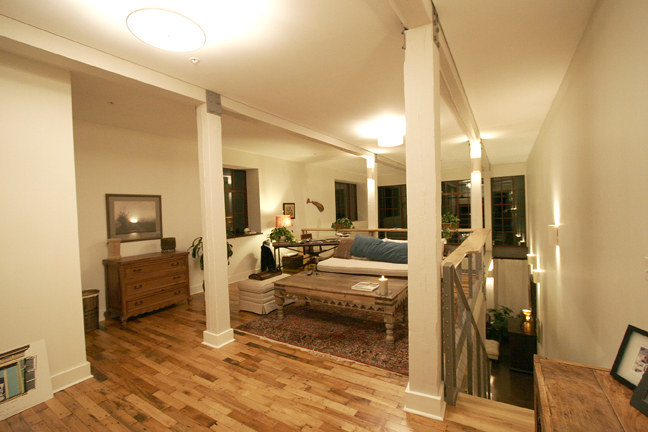 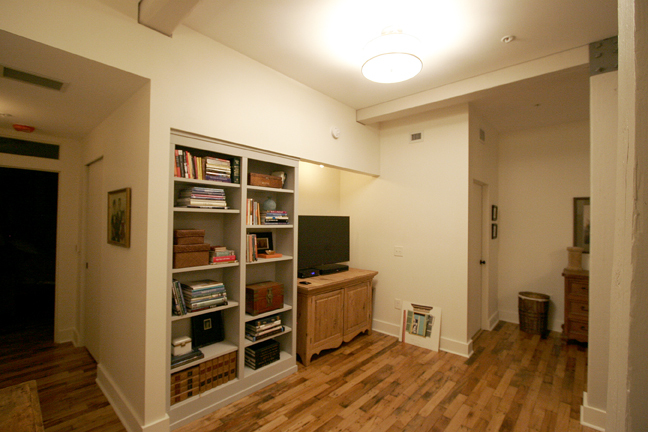 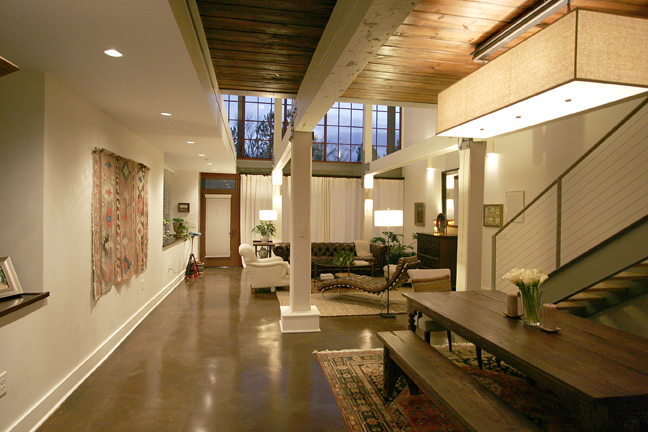 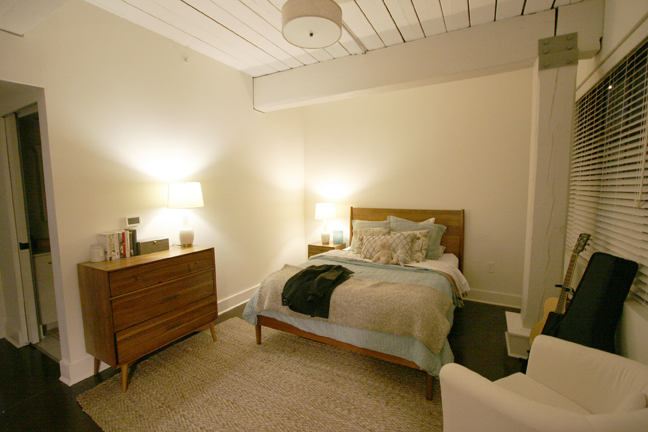 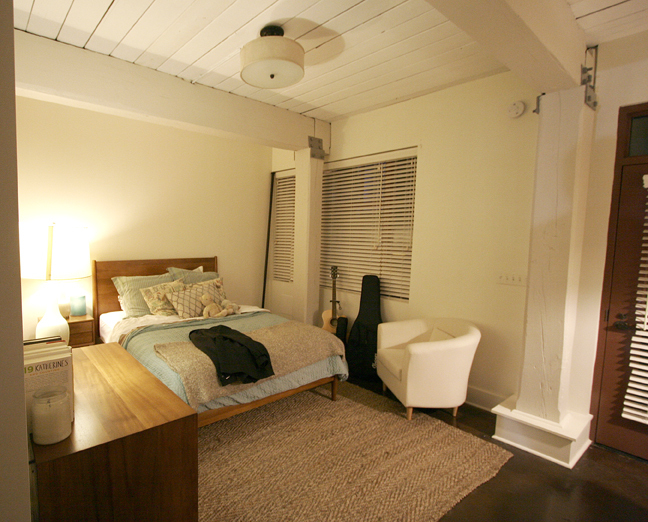 Working with the fabulous home owners, SWD brought this beautiful loft from an empty “white box” to what you see here! 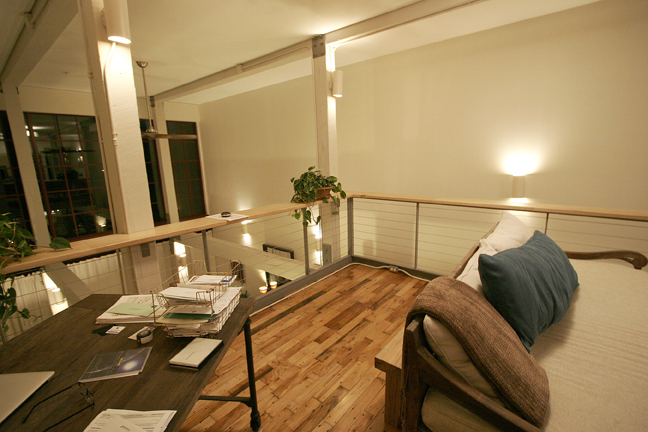 We have thoroughly enjoyed completing the up-fit for this large open-concept contemporary industrial loft for the last 3 1/2 months and are thrilled that we could meet beat our deadline by one week and have our amazing clients moved in by Christmas. 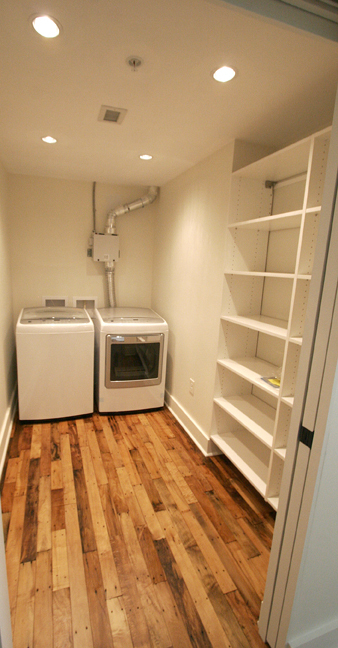 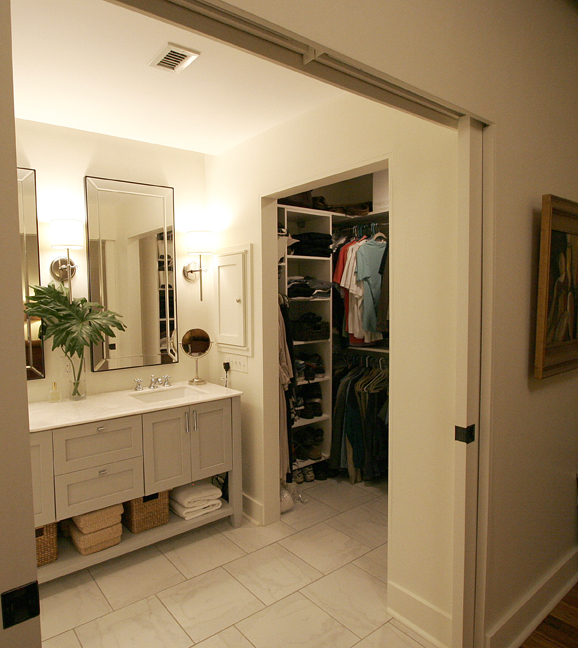 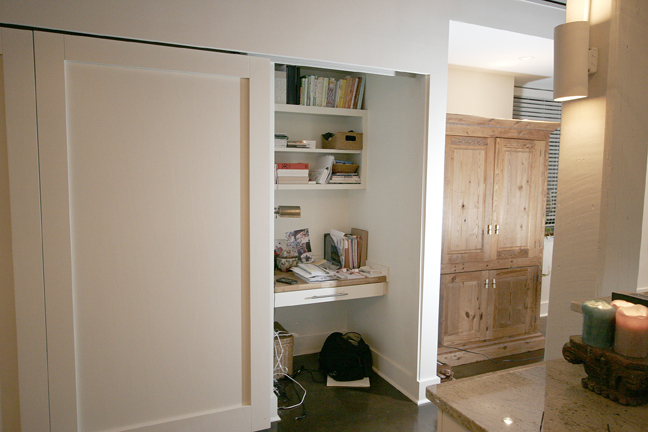 The custom kitchen cabinets, 2 bathroom vanities and built-in bookshelf upstairs were designed and installed by Xylem Cabinets based in Raleigh, NC.